Are Icebergs Made of Freshwater or Saltwater? 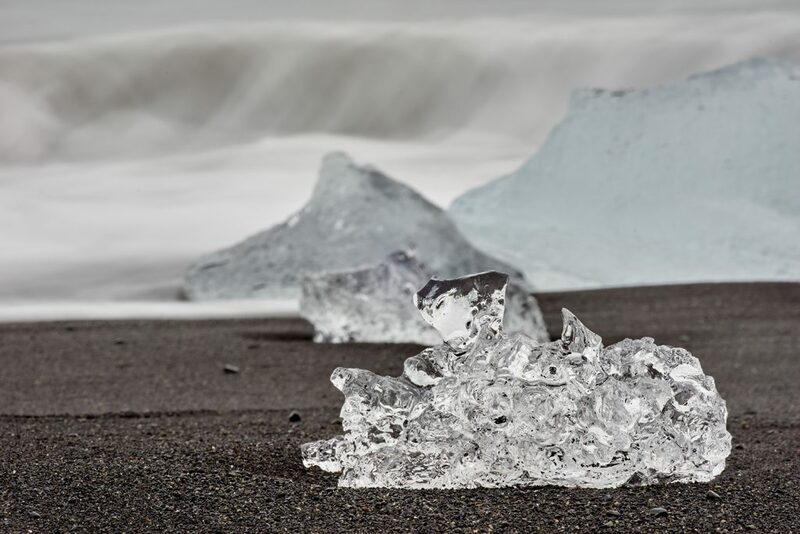 Home » Science Notes Posts » How Stuff Works » Are Icebergs Made of Freshwater or Saltwater? Icebergs are made of freshwater. Icebergs float in saltwater, so you might think they consist of frozen saltwater. Actually, icebergs are made of freshwater. Icebergs form when a large chunk of freshwater ice breaks off or “calves” from an ice shelf or a glacier. This comes from snow compacted to make ice, so it is fresh. Ice forms when saltwater freezes. When this happens, there isn’t enough room in the ice crystal for salt, so the water is fresh. When this happens, the result is an ice floe. Ice floes form when polar ice breaks up in spring. Make synthetic seawater. Mix 5 grams of salt into 100 milliliters of water. It’s okay if you estimate the amount of salt and water. Just make salty water. Place the water in the freezer and allow it to partially freeze. If you have ice cube trays, it’s easy to complete this step in a short amount of time. Remove the ice from the freezer and rinse it in cold water (so you don’t melt too much ice). Taste the ice. Taste the liquid that didn’t freeze. So, the ice that forms icebergs is freshwater. Even though icebergs and floes float in saltwater, they don’t get contaminated by the salt because the ice is a giant water crystal. Either ice melts or the iceberg can grow by accumulating relatively pure water freezing from the seawater.